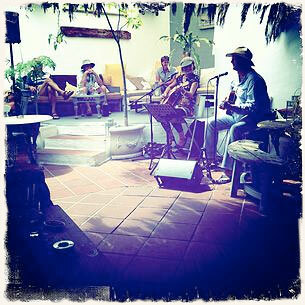 Relax in our secret garden for a cool afternoon listening to Emmiel – Mark and Emma, fantastic musicians. Their sound is unique and perfect for a chill out session. This is a perfect finish to a day at the Teguise Sunday Market. A cool glass of wine, a tabla of tapas and relaxing live music.